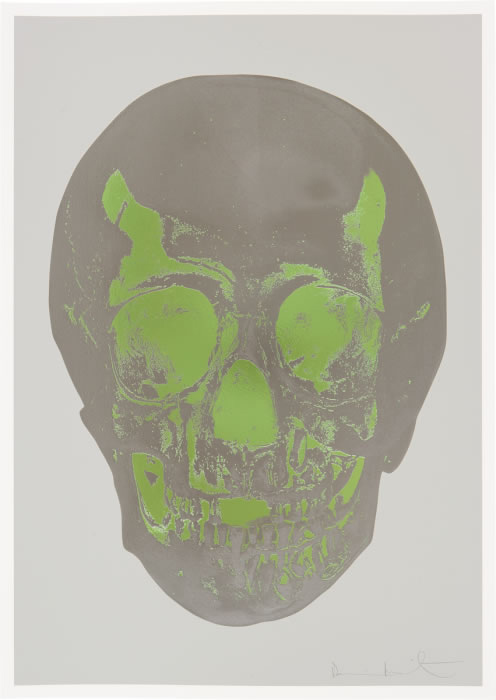 Damien Hirst, Till Death Do Us Part – Dove Grey Gunmetal Leaf Green Skull, is a silkscreen with glaze and foilblock on 410GSM somerset satin paper from the original suite of 10 colors made in 2012. 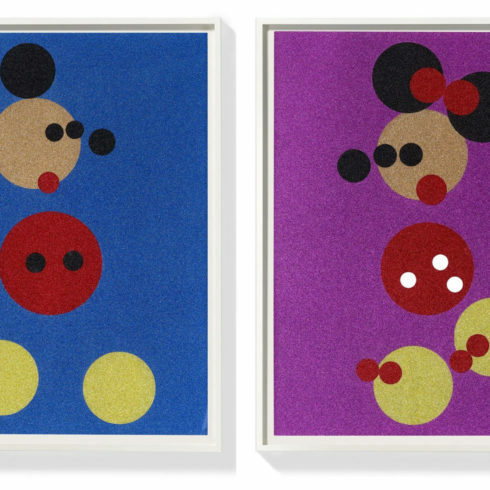 This original silkscreen print is signed and numbered recto from the limited edition of 50. 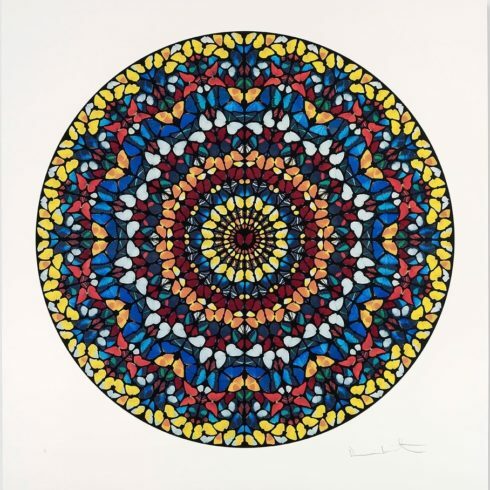 It is beautifully framed in a metal frame designated by Damien Hirst himself. 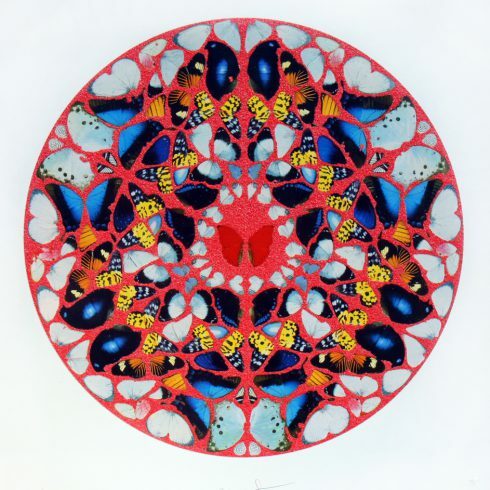 At Goldsmiths, Hirst’s understanding of the distinction between painting and sculpture changed significantly, and he began work on some of his most important series. 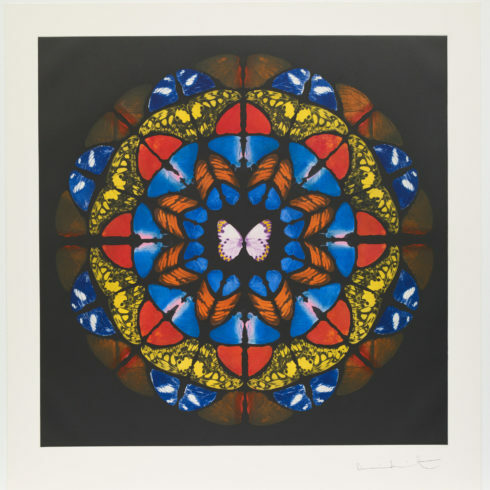 The ‘Medicine Cabinets’ created in his second year combined the aesthetics of minimalism with Hirst’s observation that, “science is the new religion for many people. It’s as simple and as complicated as that really.”This is one of his most enduring themes, and was most powerfully manifested in the installation work, ‘Pharmacy’ (1992). 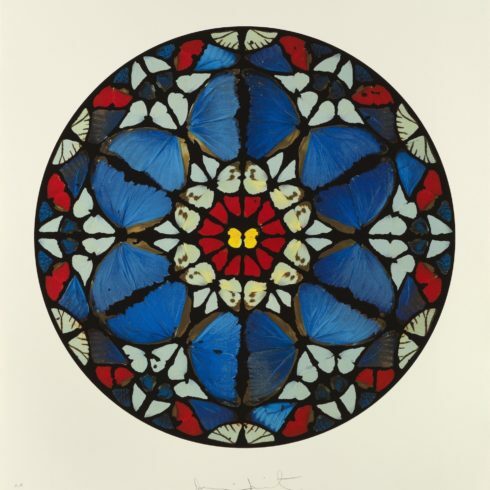 Whilst in his second year, Hirst conceived and curated ‘Freeze’ – a group exhibition in three phases. 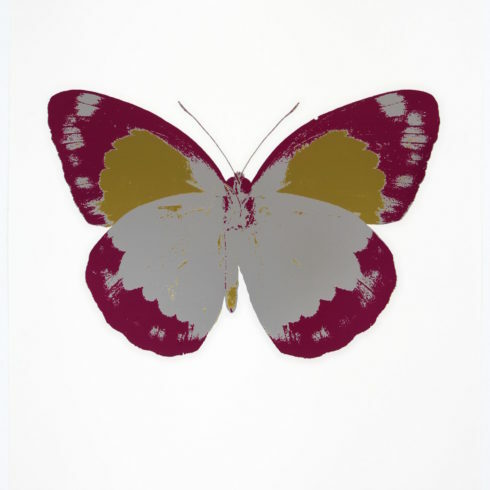 The exhibition of Goldsmiths students is commonly acknowledged to have been the launching point not only for Hirst, but for a generation of British artists. For its final phase he painted two series of coloured spots on to the warehouse walls. Hirst describes the spot paintingsas a means of “pinning down the joy of colour”, and explains they provided a solution to all problems he’d previously had with colour. 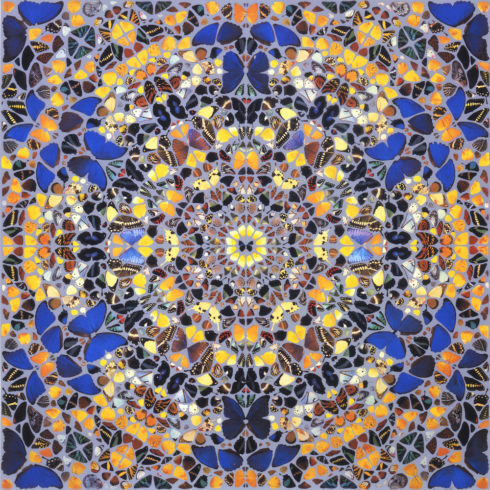 It has become one of the artist’s most prolific and recognisable series, and in January 2012 the works were exhibited in a show of unprecedented scale across eleven Gagosian Gallerylocations worldwide.